NEW YORK (JTA) -- Hampshire College insists it has not divested from Israel, but try telling that to pro-Palestinian students at the liberal arts school in Massachusetts or Israel defender Alan Dershowitz. 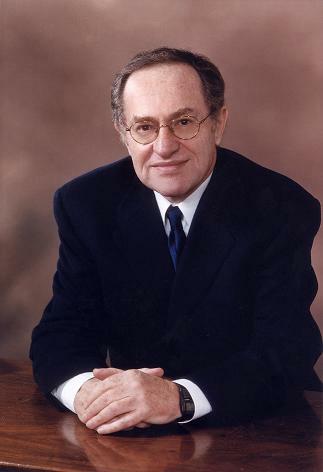 Dershowitz, who has played a lead role in defending Israel in a series of campus battles across the country, has responded with calls for divestment from Hampshire College. School officials, meanwhile, are scrambling to put out the word that both sides have it wrong. They say the Feb. 7 decision by the board of trustees to divest from a market index fund was prompted by concerns raised by the pro-Palestinian student group, but the move ultimately had nothing to do with Israel. At issue is whether pro-Palestinian activists have crossed a significant threshold in their years-long, and so far failed, campaign to convince U.S. universities to divest from Israel. The campaign has generated some headlines but produced no major victories. In an interview Tuesday with JTA, Hampshire’s president, Ralph Hexter, said the final decision to divest from certain companies was not aimed at Israel and criticized the pro-Palestinian students for suggesting otherwise. What’s not in dispute is that the decision followed a lengthy campaign by the pro-Palestinian students that focused on six companies deemed to be supporting or profiting from Israel's occupation of the Palestinian territories. The student group targeted United Technologies, Caterpillar, Motorola, Terex, ITT and General Electric. According to Students for Justice in Palestine, it made presentations to both the school’s investment responsibility subcommittee and the full board of trustees in May, after which the subcommittee recommended divestment from the six companies. Hexter maintains, however, that when the recommendation came before the full investment committee, it was decided to undertake a broader screen of one of the college's investment funds. The screen, performed by KLD Research & Analytics, found that the school was invested in more than 200 companies that violated principles of socially responsible investing, including several flagged by the students. According to the school, however, the screen did not involve any criteria relating specifically to Israel. Instead, KLD evaluated issues relating to military weapons, employee discrimination, environmental concerns and employee safety, and also examined companies’ operations in two countries, Sudan and Myanmar. What's more, two of the companies named by Students for Justice in Palestine -- Motorola and Terex -- passed KLD's screen, according to the college. A third company, United Technologies, was not screened because it was not part of the fund at the time. Hexter, insisting that the decision was not a divestment from Israel, noted that the school maintains its investments in Israeli firms. “The one thing that was quite clear in the investment committee from the start was that it was unacceptable for members to focus a decision on one area, and let me say specifically, on Israel,” said Hexter, who is on record opposing divestment from Israel. 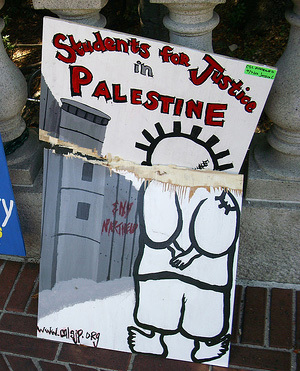 Students for Justice in Palestine continues to dispute the college's version of events, claiming that “the Palestine-Israel conflict was the most prominent reason behind divestment.” In a statement posted to its Web site, the group also says the administration sought its advice about which companies to avoid -- a claim firmly denied by Hexter. Ironically, Dershowitz -- a Harvard Law School professor, an outspoken critic of divestment efforts and the parent of a Hampshire alumni -- echoed the sentiments of Students for Justice in Palestine in accusing the college administration of not fully owning up to what it had done. Dershowitz is urging divestment from Hampshire, calling it the “No. 1" college in the United States deserving of divestment because of this episode and its tolerance for an atmosphere of hostility to the Jewish state that is “poison” for pro-Israel students. Dershowitz further accused the school of issuing a “phony clarification” and trying to be all things to all people. “They were looking for an excuse to sell the six companies without just selling the six companies,” he said. This article published courtesy of the Jewish Telegraphic Agency. The story may not be reproduced without JTA's permission. More information about JTA is available on its web site. Hampshire has now done the right thing. It has made it unequivocally clear that it did not and will not divest from Israel. Indeed, it will continue to hold stock in companies that do business with Israel as well as with Israeli companies, so long as these companies meet the general standards that Hampshire applies to all of its holdings. As I previously wrote to President Hexter, if Hampshire did the right thing and made its position crystal clear I would urge contributors to continue to contribute to this fine school. I now do so. Indeed, I plan myself to make a contribution to Hampshire and to urge that my contribution, and perhaps others, be used to start a fund to encourage the presentation of all reasonable views regarding the Middle East to the college community. Debate about the Middle East is essential and criticism of any of the parties, when warranted, is healthy. What I condemned and continue to condemn is the singling out of Israel for divestment, unwarranted condemnation or any other sanction. I look forward to working together with Hampshire to assure that the marketplace of ideas remains open to all reasonable views on this important issue, and that students feel comfortable expressing views that may not represent the majority view on the campus.